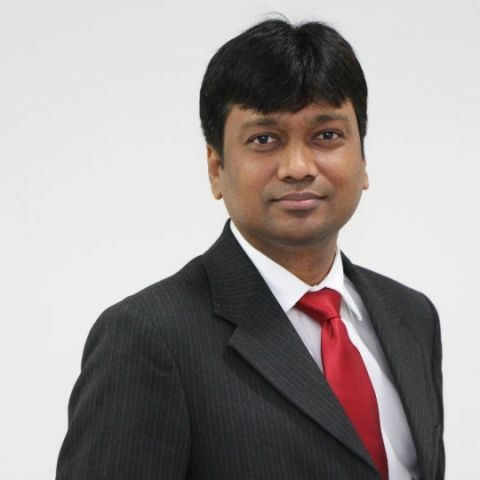 Digit had a chance to sit down with C Sukumaran, Assistant Director, Consumer System Products Division, Canon India, and talk about the current state of printers in India as well as discuss what the future holds. What is the growth rate of printers that we are seeing in India right now? Let me give you some background first. So there are two types of printers in the market right now. The first is the laser printer, and the other is the inkjet printer. The inkjet printer caters to the home and SME segment, while the laser printer is less focused on the home, it does have applications with some SMEs along with large enterprise, government, Banking, financial services and insurance (BFSI). So laser is all about enterprise, that is the categorisation. From a growth point of view, the growth rate of inkjet printers are a bit flat unfortunately, but there is a certain type of printer within the ink jet printers called Continuous Ink Supply Systems (CISS) printers, commonly known as ink tank printers, which is growing rapidly, at least at a pace of almost 20 percent year-on-year. We launched this just over a year ago and we are seeing a huge growth of about 25-30 percent in the segment. So we are doing well as far as the ink tank printers are concerned. But the other ink jet printers, which are aimed at occasional printers, that segment is still very stagnant. The reason is because the home segment is starting to look at Return on investment (ROI). If they are planning to print in volume, they are considering purchasing more expensive printers as their running cost may be lower. What is the most common category of printers that the consumers are buying? So right now, ink tank printers priced around Rs. 9,000 to Rs. 17,000 are quite popular and this is a bit surprising if you ask me. Did we see this coming? Yes, but we were expecting this to happen much later. Home consumers, who were looking to buy a printer at Rs. 3,000 to Rs. 5,000 have no problems buying a printer at double the cost. The reason behind this I already explained, ROI. What potential does Canon see in the Indian market? The potential in India is only going to go up, and go up substantially. India has 1/6th of the world’s population. Every company wants to be here. India is a very important part of our three-year plan. How are you planning on expanding beyond Tier 1 and 2 cities, and into the Tier 3 or 4 cities in India? Beyond online (we cannot ignore them), we have regional distributors, large format stores, and we also have TV shopping. Our main objective is to reach consumers. We have about 70 regional distributors across the country with 2,000 resellers, which we are expanding. And that is where we are moving towards because at a Tier 4 level, they trust a retailer next door more than an online platform, even if an online platform were to easily reach there. From 2,000 resellers currently, the next three-year plan is to touch a minimum of 3,000. Besides expanding into these places, how are you planning on providing after sales support there? It’s a bit of a reverse here. First we set up our service infrastructure before we expand our reseller base. That is the one thing about Japanese companies, we are a little touchy about service and we have to setup our service standards well. Users in Tier 3 and Tier 4 cities may not be very knowledgeable about all the new features in a printer like Wi-Fi printing or cloud printing. How is Canon looking to educate these users about such features? That is where our service structure helps us. So all the basic setup processes are available on the internet, but they may not have good access to the net there. So it is their closest engineer that is going to help them out. Like the way people learn how to use a computer, you’ll need someone physically there to help them learn. But things may change, with the focus of the government on a digital India and the increase in penetration of smartphones, we try and reach them through other ways as well. What is Canon doing towards saving the environment? Principally, our approach is that don’t just print, but print efficiently. All our products are RoHS (Restriction of Hazardous Substances) compliant. They are not made of any hazardous substances and from a Canon India perspective, if I bring in a vendor into Canon, he has to be RoHS compliant as well. We are quite 'finicky' about it. Further, Most of our printers come with a duplex function and we are looking at duplex printing as a default option on our printers. 3D printing seems like the next big thing. What is Canon doing about that in India? At this moment, we don’t have products related to 3D printing in India at the time, but we should be getting some. However, I don’t have any information from Canon Tokyo about that for now. There is a requirement to bring in a complete portfolio, but it is all about when our headquarters thinks it’s time to bring it into India. What are the current devices in the market with good battery backup and atleast quadcore processor?